The Spread: Plano Is Becoming Food Hall Central, Huh? Food Halls Are So Hot Right Now, Brian Luscher Is Training Dallas’ Next Generation Of Kitchen Workers And A Denton Beer Pro Is Getting Cheesy. Plus More! Last week, you may recall, we pointed out the fact that Plano will be getting itself a second Legacy-branded food hall concept — this one called The District at Legacy Central — to pair with its already-in-operation Legacy Hall concept at Legacy West. A week later, we’re wondering why they need so many of these spots. Now, in addition to the aforementioned halls — and the fact that the Dallas Observer just hipped us to the merits of a third Plano option, the Japanese-centric Mitsuwa Marketplace, in its annual Best of Dallas issue — GuideLive is also reporting that a fourth food hall is headed the Dallas suburb’s way. Well, kind of. Really, the Shops at Willow Bend is just looking to add some spark to its fire by adding some 60,000 square feet of space that will host eight new restaurants within a $125 million remodel to the part of the mall that once housed Saks Fifth Avenue. Among the restaurants lined up to fill those spaces? Outposts of Ascension Coffee, Whistle Britches, Knife Steakhouse and Knife Burger, plus Terra Mediterranean Grill (from the folks behind Ali Baba), Açaí & Alchemy and Mexican Bar Co. Cocina. 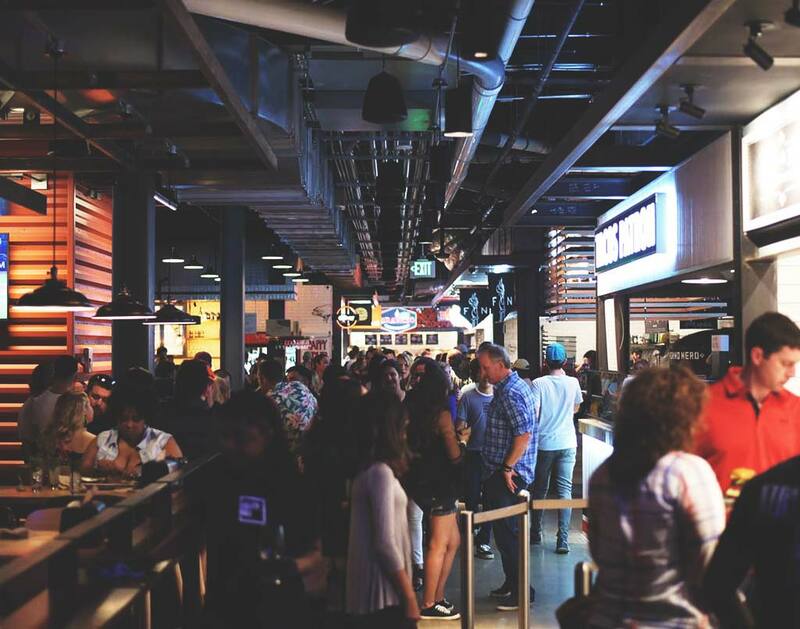 The line between food court and food hall will be further blurred by the fact that shoppers will also be able to purchase and walk around the spot with alcoholic drinks in hand. Expect about half of the new spots to be open for business by Thursday, October 4. Diners can try them all out on opening night — and for charity! — for $125 a pop, or they just wait a few more days to sample their wares during the Plano Food and Wine Festival that’s taking place there on Saturday, October 6. Now, if you’re wondering who the hell is going to staff all these new concepts — along with all the other new spots we write about on a weekly basis in this space — you’re not alone. A common gripe we’ve heard for years from Dallas restaurateurs is that there just aren’t enough qualified workers to fill all the kitchens in town. Props, then, to Brian Luscher for stepping up and doing something about the shortage. The chef and restaurant owner of The Grape and the late Luscher’s Red Hots might not have all the answers, but he’s going to be putting what knowledge he does have to use as a professor at El Centro. Per SideDish, Luscher will be teaching a course as part of the Downtown Dallas college’s food and hospitality program on American Regional Cuisine. The class will focus on some more advanced elements of the industry, and students will learn everything from a breakdown on 12 regions of American cooking to prepping and cooking for an actual lunch service. Although the course won’t have an immediate effect on Luscher’s own business endeavors, he says the goal is to prepare students to be successful in the Dallas restaurant industry. SideDish also has the deets this week on the trendy downtown shop Forty-Five Ten‘s new coffee component called No Aloha. The spot is being described as the “anti-café” where colorful pop art/graffiti murals meet artisan drinks and small bites to eat. Meanwhile, Park Cities southern food favorite Bubba’s Cooks Country is expanding to Frisco, according to CultureMap. This second location of the restaurant will be located at 4585 Preston Road, where it will continue the same fast-casual, drive-through concept of the original. Lookout for an opening in the coming weeks. On the pizza wire, newcomer Dough Society Pizza aims to bring an old-world touch to Plano. Located at 8103 Rasor Boulevard, everything at this new spot is made from scratch, and its pies are cooked in a combination wood and gas oven. According to CultureMap, Dough’s pies are unique thanks to a traditional Italian technique of using a pinch of dough from the day before. The menu features classic flavors as well as signature creations, such as a BBQ bacon cheeseburger pizza and a gluten-free option. While the Plano location is still relatively new, the owners are already looking into a second location. In other pizza news, Greenville Avenue Pizza Co. has rolled out its spiciest pizza ever. The pie is called Butcher’s Revenge, and it’s made with Goodfriend Package’s spicy Italian sausage, plus hot soppressata, red pepper flakes, fire cheese. It’s then topped with parsley and a hot honey drizzle. Per CraveDFW, the pizza will not be a regular menu feature and will only be available for a couple of months. But on Tuesday, October 9, the original GAPCo location will team up with Peticolas Brewing Company for a tapping of the re-release of the Ghost of Alfred Brown Ale, and the restaurant will feature a special menu of spicy items in honor of the ghost pepper-laced brew. That brings us to some final beer notes! Once again, Strangeways is hosting its annual Sour Week, in honor of the oft-misunderstood, experimental brews. Throughout Sunday, October 7, the Fitzhugh Avenue dive will feature a selection of hard-to-find sour brews that they’ve collected during the year. The craft beer dive opens at 4 p.m. daily, with taps expected to change throughout the week. One of the highly-anticipated taps comes courtesy of Blackman Brewing, which has also debuted a “concerto of beer” called the First Cello series. According to Beer in Big D, the arrangement is to be released in movements that are deviations from the original base, the First Cello Tart Ale. The brews will only be released in bottles, and are only available online or on tap at Small Brewpub. And finally, the beer Cicerone behind Eastside Denton is stepping into the cheesemonger world with a new cheese and beer shop. Ten:One — named after the ratio of milk that yields a pound of cheese — will take over the former Everyday Nectar space at 515 S. Locust Street. The concept will seat about 20 people, and will have around 50 cheeses with a rotating selection of beer and wine, per Dallas Observer reports. The cheese boards will also feature goods from other local artisans, such as Ravelin Bakery. No word yet on an official opening date, though. Legacy Hall cover photo by Pete Freedman. Got a tip for The Spread? Email us! Previous ArticleNorth Texas Head Shop Owner Faces Life in Prison For Selling K2. Next ArticleForechecking: Could Your ’18-’19 Dallas Stars Win It All?